For compaction that is safer and more precise, consider adding a remote control trench roller to your list of equipment rentals. Remote control trench rollers have integrated safety features and the ability to deliver the maximum compaction results without loss of single in trench shoring. For large jobs, more than one trench roller can be used on the same site without the risk of interference. If you’re considering renting this equipment for your job, here is what you need to know. Using a trench roller remotely increases operator safety, but concerns sometimes exist about the safety of allowing a powerful tool like this to move without manual operation. 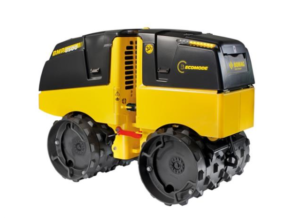 Fortunately, remote control trenchers require line-of-site control, so if the control box is out of the line of site of the equipment, it will no longer work. This means that it will be under observation at all times. Likewise, if the person who is controlling the trench roller comes within three feet of receiving eyes with the box, it will stop automatically, reducing the risk of collisions. The trench roller also monitors machine functions and provides alerts if there are any flaws, such as low oil levels or high engine temperatures, for safer and more efficient operation. Thanks to a low center of gravity and the ability to use both high and low compaction force, the compaction results are superior to manual trench rollers. Some trench rollers also have integrated compaction control systems that carefully monitor the level of compaction and provide an alert when the maximum level has been reached. The drums can be set to work at different widths based on the need of the job. When you rent a remote control trench roller from A Tool Shed, you will need a midsized SUV, truck, or van if you have single access equipment trailer or at least a half-ton, full-sized vehicle for a dual axel trailer for safe towing. To find out more about renting equipment in San Jose from one of our seven locations, call (800) 286-6574. Angle grinders are versatile tools, so there are a lot of projects you can use them for. It helps that they’re strong enough to cut through extremely durable materials like metal and concrete, you can use them to clean rust and grime off other metal equipment. Here’s a look at a few projects you can complete with an angle grinder. You can use different types of blades with the same angle grinder, which adds to its adaptability and value. Cutting through stone, tile, and concrete to form pavers for your new deck or floors for your outdoor kitchen should be no problem for an angle grinder with a diamond blade. With a metal wheel, you can cut off sections of rebar for your construction project. When you want to clean off all the dirt, grime, or even rust that has built up on your shovel, an angle grinder with a wire brush can leave your tool looking clean again. You need power equipment rentals and used tools for sale in San Jose, and we’ve got what you’re looking for . Call A Tool Shed at 1 (800) 286-6574 or look through our equipment options on our website. If your children love the outdoors, they’ll be blown away when they see a finished treehouse in their very own backyard. The finished product has to be as safe, sturdy, and secure as possible, and you’ll need the right tools and equipment to build the platform, walls, and roof of the house. Read ahead and see what you’ll need to build a treehouse. You’re going to be working with a whole lot of wood when you make your treehouse, so tools like saws and drills will be a big part of your arsenal. You’ll need the right drill bit to pre-drill holes for the coach screws. Before anything is permanently connected, use safety ropes to hang the planks in place. Even after the planks are screwed into place, don’t put any weight on the platform until you’ve added support beams. Unless your tree is perfectly even, you’ll cut your support beams at different lengths. You could build your walls up on top of the existing platform, but it’s usually easier to put them together on the ground. Then you can connect each finished wall and begin to piece the treehouse together. In this case you’ll also need safety ropes to support the weight of each wall. Like the platform, walls will require beams and screws. In contrast to the floor of the treehouse, the walls require the use of a power drill. Double check the platform and the walls of your treehouse before moving onto the roof. The construction of your roof depends on its design, and attention to detail is just as important. The angles might be a little bit different here, so use precision tools and ask for a second opinion while putting the roof together. 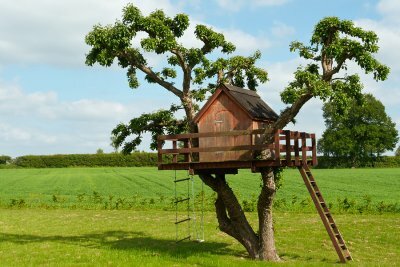 Do you have all the San Jose tool rentals you need to build a treehouse for your kids? The equipment experts at A Tool Shed can help you find what you need. Whatever kind of tools you need for your project, see what we can do by calling 1 (800) 286-6574. If you and your family members love spending time outdoors, you may want to consider adding to your backyard living space with a patio installation. 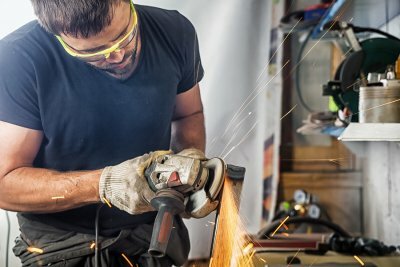 A company that offers tools for rent in San Jose can provide you with all of the equipment that you need to build your patio, from start to finish. With services and rental equipment from a tool rental company, you will be able to build the patio of your dreams. 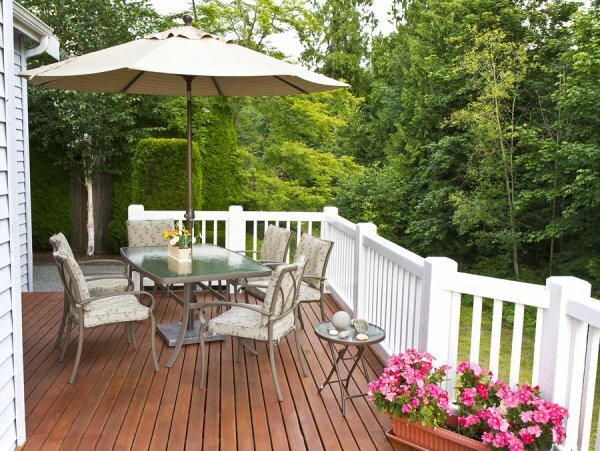 Let’s explore some of the steps of getting ready to construct your patio. One of the initial steps of creating a patio design is to choose what types of materials you will want to use for your construction. Patios can be created from a wide assortment of materials, ranging from wood and pavers to concrete. The materials that you choose for your patio design will affect the tools that are required for your installation. The next step of getting ready for a patio installation is to create a layout for your design. The layout of your patio will be determined by the size and dimensions of your backyard, as well as your intended uses for the patio space, itself. With your layout determined, you will be able to start collecting tools and materials. Finally, you will need to gather supplies for your patio construction. A company that rents tools near you will have the equipment that is required to create a quality patio for your backyard. Your tool rental experts can advise you on which tools will be right for your construction needs. To get started on building a patio for your home, get in touch with A Tool Shed. From high-quality generators to power tools, we offer everything that you will require for your project. For more information about the tool rental services that we can provide to you during your home improvement project, call us at (800) 286-6574. Springtime weather and temperatures can be unpredictable, but one constant you’ll find year after year is that spring is cleanup season. Tool and equipment rentals peak in March, April, and May, and with good reason: Ensuring a beautiful lawn and garden until winter begins with spring yard maintenance. You can use these tips to get started. After a long, harsh, cold season, your landscaping is bound to have dead material in need of trimming. With pruners in hand, walk your property and keep an eye out for signs of frost damage on your trees and shrubs. For the best results and to stimulate new spring growth, trim back dead branches until you reach live stems. When grooming your hedges, use hand pruners rather than electric shears to cut the branches in a more natural way to allow air and sunlight to reach the shrub’s interior. To keep your perennial grasses and flowering plants in good condition, be sure to prune them back in the spring to allow new growth. Reduce your ornamental grasses to about 2-3 inches, and your flowering perennials to a height of 4-5 inches for optimal results. Once the soil has thawed, you can start thinning out crowded perennials by digging them up, dividing them, and leaving about three stems per clump. There’s no other time that you’re likely to have as much yard waste as you will in the spring. Composting is an excellent way to dispose of your leaves, grass, and branches, and you’ll also get a nutrient-rich soil additive for your efforts. Collect your yard waste into a pile, leaving out any weeds, and corral it in using a few sections of wire fence. For faster decomposition, chip branches and shred leaves into pieces no larger than ½”. For a broad range of high-quality tool rentals and equipment for rent in San Jose, contact A Tool Shed at 1-800-286-6574. We have seven locations throughout Northern California to provide you with the tools you need for your next weekend project. 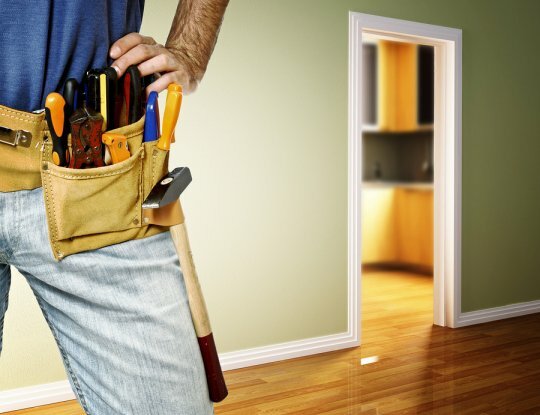 Even with a well-stocked tool shed, there are plenty of home improvement tasks that may require equipment you don’t already own. If you’re thinking of buying a tool that you need to complete your next project, renting tools from a high-quality equipment rental company offers several benefits. Leasing a rental tool makes the most sense when you are going to use a piece of equipment once or only a handful of times. This saves you from making significant investments, and from having to find a home for the tool in your garage or shed. When you rent or lease equipment, one of the biggest benefits you’ll experience is cost-control. Renting requires a fee that covers your use of the tool anywhere from a few hours to a few days, and you know how much you’ll be paying for the amount of work you’ll complete with the tool. Buying equipment usually leaves you with a higher bill upfront, as well as possible maintenance costs in the future. When you choose to work with an established tool rental company, you also expose yourself to a wide range of expert advice and experience. A rental tool specialist can help you select the best type of equipment for your needs and explain how to use it safely. When you opt to buy a piece of equipment, you expect it to serve you for a long time when properly maintained. While this makes sense when you plan to use the tool frequently, it also means that as equipment in the industry advances, you’ll be left with an out-of-date machine. For those who want to use the newest and best, tool rentals are the optimal choice. A Tool Shed Rentals supplies a broad range of equipment tools for rent in San Jose to help you get the job done. We have seven locations throughout Northern California and boast an ever-expanding range of rental equipment. When you need rental tools for your next weekend or major project, call us at (800) 286-6574. If you plan to use a tool only occasionally, equipment rental makes more sense than investing in new tools. Watch this video to learn what to expect if you rent the tools that you need. You can find nearly any kind of tool or equipment that you need available for rent. You will want to investigate the rental company, particularly if you are renting a tool that you’re unfamiliar with, and learn if they provide any training and the condition of their equipment. If you’re looking for tools for rent in San Jose , call A Tool Shed at (800) 286-6574. We supply a broad range of new and used tools and equipment for sale and for rent. 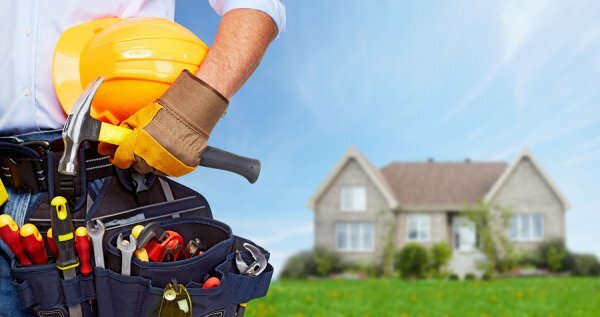 Spring is just around the corner, and as you come out of hibernation, you should make a checklist of home repairs you don’t want to leave until summer and the rental equipment you’ll need to get them done. Grab your tools, check the attic, and inspect your walls, because it’s time to do some spring cleaning and maintenance around the house. 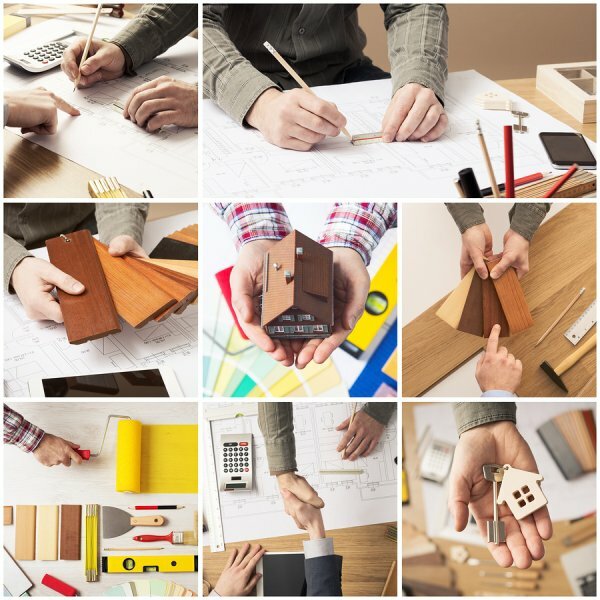 Here are a few projects to get you started. Spring rains can wear out and damage any wood pieces on the outside of your home, especially if they are already old and weathered. In order to avoid issues throughout the rest of the year, use a screwdriver to carefully probe exposed wood and ensure that it is still in good condition. If you find wood that is soft and splinters easily, make repairs now to avoid additional issues. One of the most important components of your home is the part that covers it! Your roof stops the elements from entering and destroying your home and possessions. If your roof leaks , you could be facing high repair costs and an unneeded, stressful situation. Use a ladder to carefully climb on the roof, and check for broken shingles, debris buildup, and any weak spots. You should also check your home’s attic. Critters might have used your attic to stay warm in the winter, or you could have moisture in the attic. If your attic feels drafty, consider renting an insulation blower to add insulation to this area of your home. This will help keep your home cool in the summer and warm in the winter, and improve your home’s energy efficiency. Just as important as your roof is your foundation. Your house won’t be livable without a solid foundation. Check for cracks and leaks throughout your concrete foundation, as well as in the surrounding property. Catch problems now so you can avoid having to use a jackhammer to address foundation issues. A Tool Shed Equipment Rentals is here with all of your equipment rental and tool rental needs. From tractor rentals to propane sales in San Jose , we have exactly what you need to make sure your home is ready for spring. Call us at 1(800) 286-6574 to learn more about how we can help you. If you’re like many people, chances are you have a to-do list of household projects you want to accomplish. However, it can be hard to find the time to check everything off of your list—especially if you don’t have the right tools to do the job. By using tools for rent in San Jose , you can save yourself money and start making a dent in your to-do list. Basic items such as an extension ladder can help you get many chores done, like cleaning the gutters or repainting your ceiling. If your floors are looking worn, consider renting a floor polisher to bring them back up to shine. Take a look at this infographic to learn what other rental equipment you can use to stay on top of your to-do list. Please share with your friends and neighbors!